The Promoter shareholders, Vodafone Group and Aditya Birla Group have confirmed their participation of up to Rs 11,000 crore and up to Rs 7,250 crore, respectively in the rights issue. Vodafone Idea’s Rs 25,000 crore rights issue opened on Wednesday. The country's largest telecom firm is offering 2,000 crore shares at a price of Rs 12.50 apiece. The entitlement ratio of the issue, which will close on April 24, has been fixed at 87 rights shares for every 38 currently held by shareholders. On Tuesday, the stock settled at Rs 16.90 apiece on BSE. By definition, a rights issue is an invitation to the existing shareholders of the company to buy additional shares at a discounted price in proportion to their holding of old shares. In this offering, the companies grant shareholders the right, but not the obligation, to buy new shares at a discount to the current market price. The Promoter shareholders, Vodafone Group and Aditya Birla Group have confirmed their participation of up to Rs 11,000 crore and up to Rs 7,250 crore, respectively in the rights issue, the company said in its press release. Most analysts advise existing shareholders to subscribe to the rights issue, as they feel it is attractively priced. That apart, things may be slowly turning for the sector and the issue provides a good opportunity to those who wish to stay in the sector for the long term. Arun Kejriwal, the founder at Kejriwal Research & Investment Services, says it makes sense for investors to apply for rights as the shares that are being offered are at a decent discount. "There's always a chance that once the rights issue closes, the market price of the stock can fall. So, one should capture something that they are getting," Kejriwal added. At the bourses, Vodafone Idea has slipped over 45 per cent as compared to 1.6 per cent rise in the S&P BSE Sensex. The S&P BSE Telecom index, however, has lost nearly 12 per cent, while the S&P BSE Mid-cap and the S&P BSE Small-cap indices have slipped 8 per cent and 13 per cent, respectuvely, during this period, ACE Equity data show. Amar Ambani, president and head of research at YES Securities, who is negative on the telecom sector suggests such a move by the company was necessary to raise funds and remain competitive. Bharti Airtel too, he says, had raised funds to compete with Reliance Jio. “Going forward, that headwind will remain as Reliance Jio will be aggressive in adding subscribers and value-added services. Investors should avoid a fresh exposure to the sector, but those already holding Voda-Idea shares can subscribe. The rights issue gives investors an arbitrage opportunity of lowering the cost of holding. If one does get a subscription, positions can be exited later,” Ambani says. Despite the huge fund raise and the estimated earnings before interest, tax, depreciation, and amortization (EBITDA) increased to Rs 12,600 crore by financial year 2021 (FY21), Voda-Idea’s net debt is likely to remain at Rs 1,06,000 crore with the net debt-to-EBITDA ratio at a steep 8.4x, said analysts at Motilal Oswal Financial Services. As a result, they peg the amount raised to only support the company’s cash requirement for the next eight quarters only. “Assuming 90 per cent success rate in our base-case, the Rs 25,000 crore raised would help the company meet its funding requirements till Jun 2020 (1QFY21). 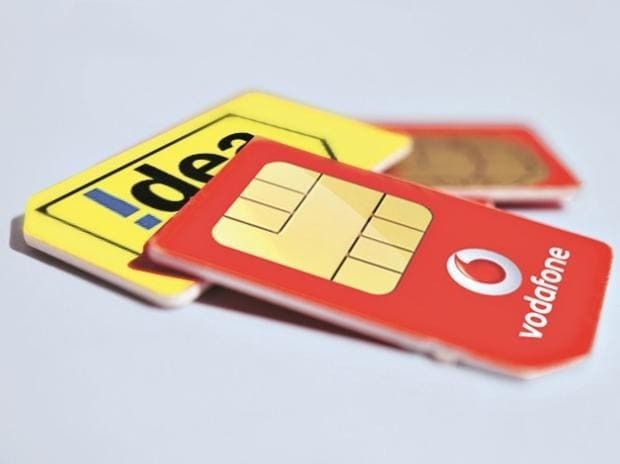 Post that, Vodafone Idea would anyway need to do either a QIP or a preferential equity issuance within 12-months," said analysts at JM Financial in a recent note.